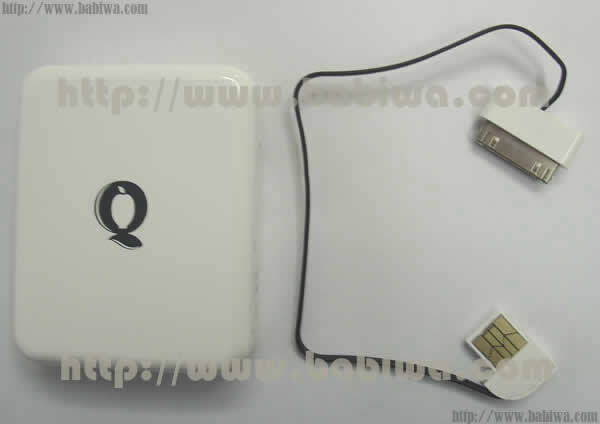 This listing is for Newest Released Q Kiwirbird Series FC 3-A Luxury Portable 1400 MAH Powerpack .Stand USB Voltage output with 30-Pin Dock Power-out Connector,Best for Apple Iphone and Ipod Series . We also have Type No. 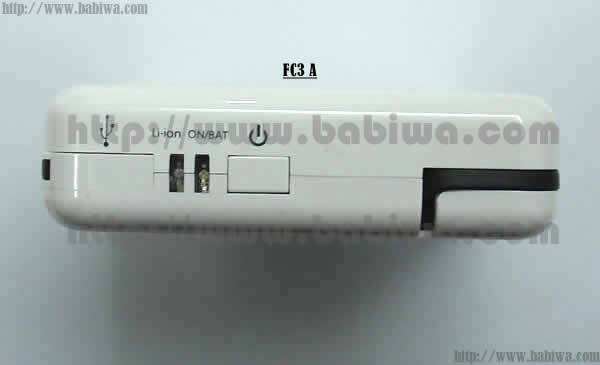 FC 3 B,Another Product,Almost same design and function,but with 1700 MAH Powerpack. Powerpack comes With Built-in high capacity 1,400mAh polymer lithium battery.Fashionable and Cute Design ,So Convenient to Carry anywhere and anytime. 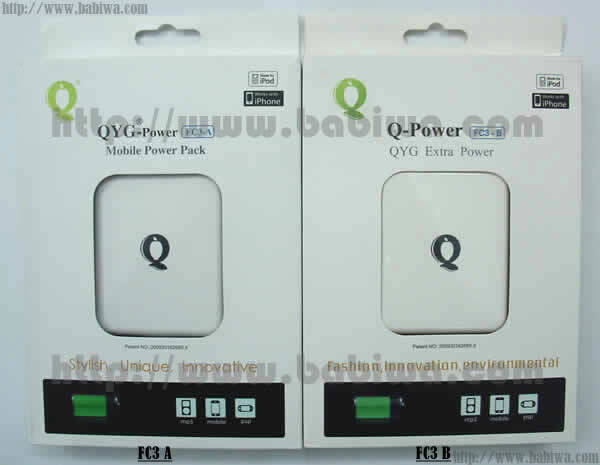 Gives you More Enjoyable Time using your iphone or Ipod,or also could be used to charge your other universal digital devices on the go.You Don't need to worry about the shortage of power supply anymore. Hidden-inside Cable for Data Transmission & Charging , Standard USB Plug and 30-Pin Apple Dock Connector. Convenient for charging your iphone ipod etc from this powerpack on the way,or you can use this cable to charge your devices from any Computer's USB Socket or Branded USB Power-out Adapter. This cable also used as Sync or Data transmission Cable for Iphone,Ipod etc. Smart inside IC Design highly improves power-recharging Efficiency.Avoid short-circuits, over-charging, over-discharging . 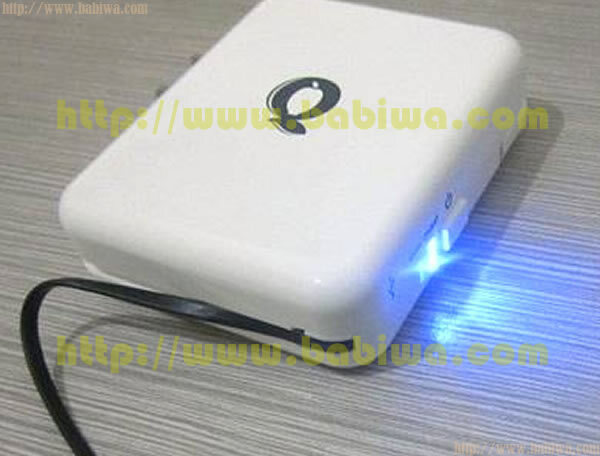 (1) How to charge this 1400mAh Powerpack. Pull out Hidden AC plug and connect into AC Socket. Four LED lights turn on gradually in a row. Each light accounts for 25% power. 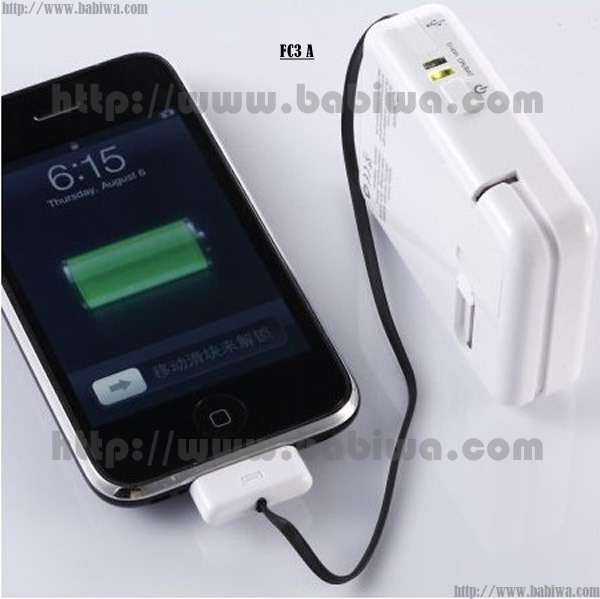 (2) How to recharge your iphone ipod etc from this powercase? 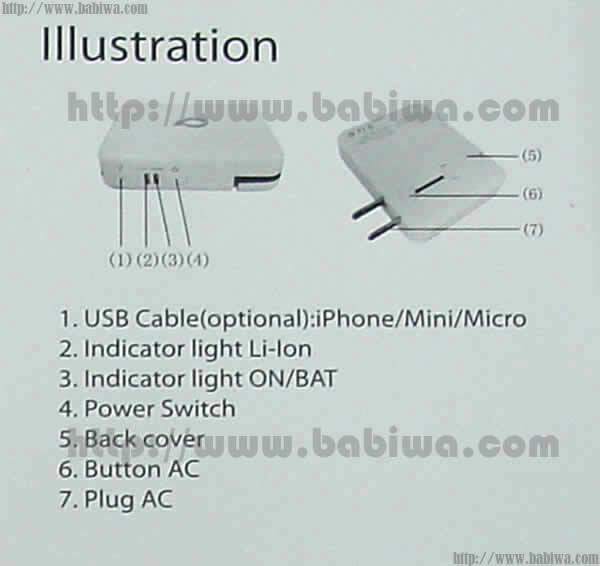 Connect to your iphone ipod etc from this hidden-in connector cable,Press Power Switch Button until the indicator buttons turn on.